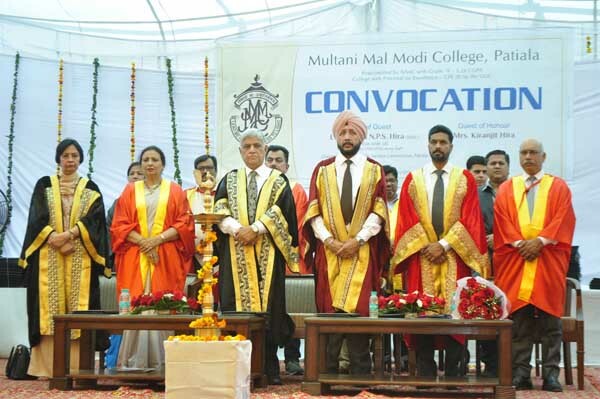 Multani Mal Modi College today organized Convocation-2019. 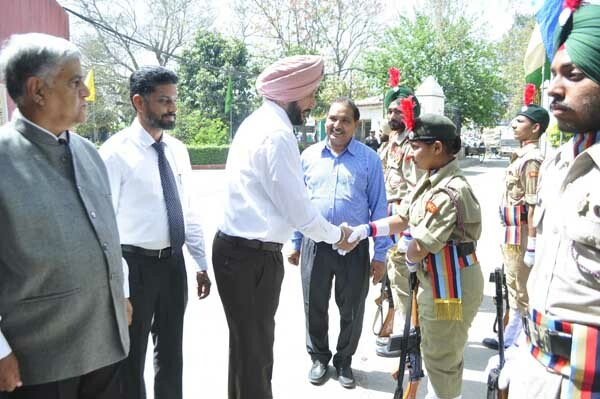 Lt. Gen. NPS Hira, Chairman, Punjab Public Service Commission was Chief Guest and Mrs. Kiranjit Hira was the Guest of Honour of this occasion. 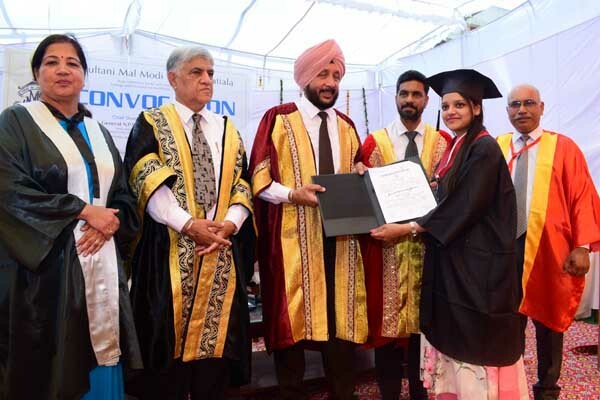 The chief guest delivered the convocation address and congratulated the graduates and post-graduates. 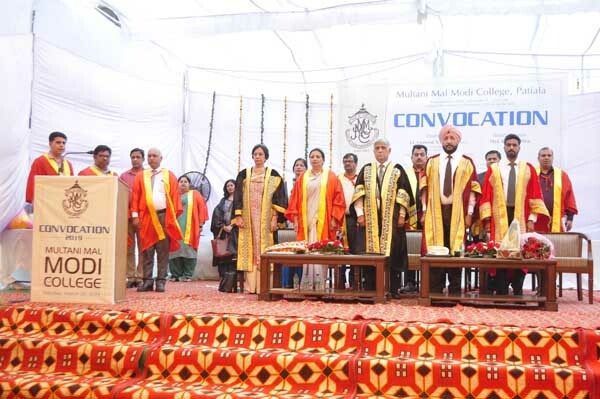 The convocation was inaugurated with Saraswati Vandana and Shabad Gayan. 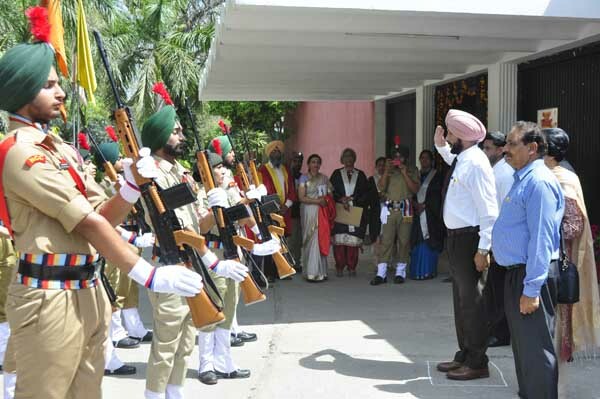 Guard of honour was presented to the Chief Guest by the NCC cadets of the college under the guidance of Capt. (Prof.) Ved Parkash Sharma. 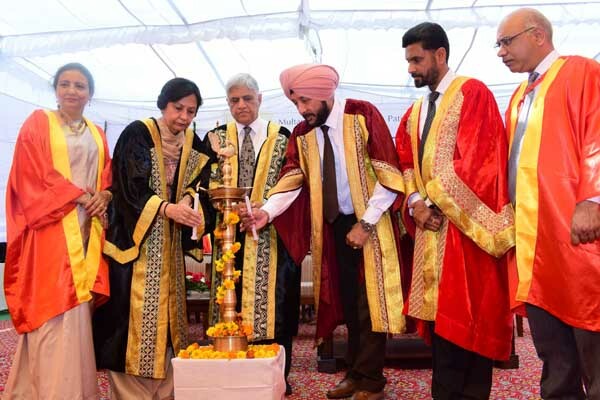 Dr. Baljinder Kaur, Head, Department of English formally introduced the Chief Guest. 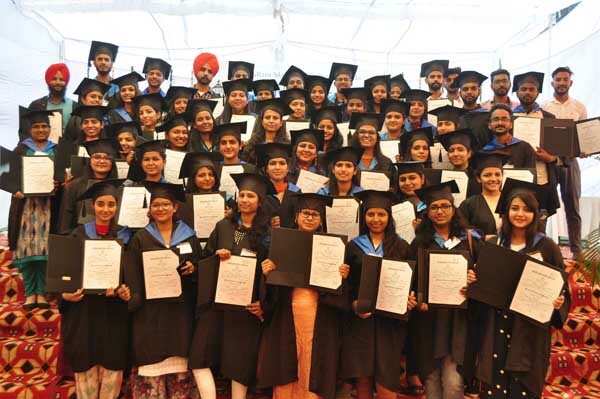 College Principal Dr. Khushvinder Kumar welcomed the chief guest and graduates and presented a brief report about the Academics, Sports and other achievements of the college. 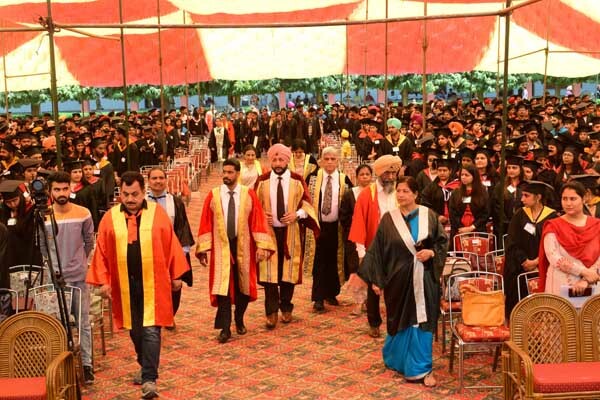 He said that Modi College is not only imparting world class educational facilities to its students but also committed to develop them as future nation builders and socially conscious citizens. While addressing the students, the chief guest Lt. Gen. NPS Hira said that we are living in a world of vast opportunities but stark contradictions. 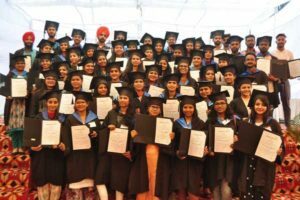 The contemporary educational system has been successful in developing several technological advancements in transportation, communication and medical sciences. However, this advancement has also led to accumulation of weapons of mass destruction and deterioration of eco-systems of our planet. He motivated the students to focus their energies and potential towards reconstructing a more humane and unprejudiced society. 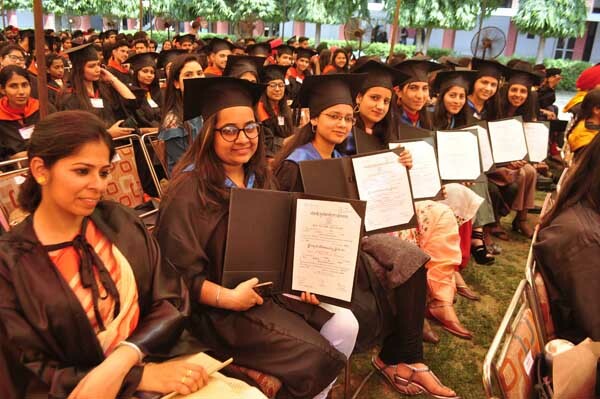 Dr. Ajit Kumar, Registrar of the college informed that 805 (graduates and post graduate) degrees were conferred in the faculties of Arts, Commerce, Science, Management and Computer Sciences. 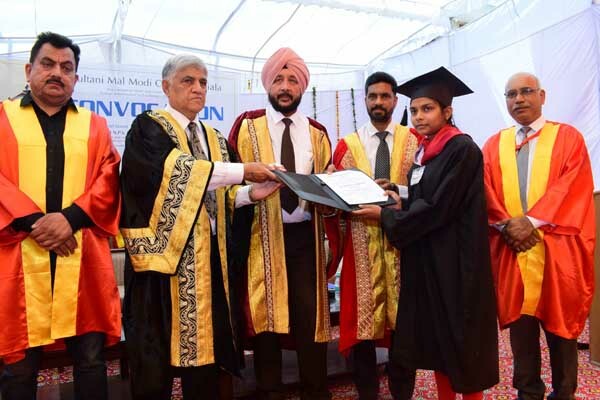 Deans of the faculties Dr. Baljinder Kaur (Arts), Prof. Neena Sareen (Commerce), Dr. Ashwani Sharma (Life Sciences), Dr. Rajeev Sharma (Physical Sciences) and Dr. Neeraj Goyal (Business and Management) and Prof. Vinay Garg (Computer Science) presented the students for the award of degrees. 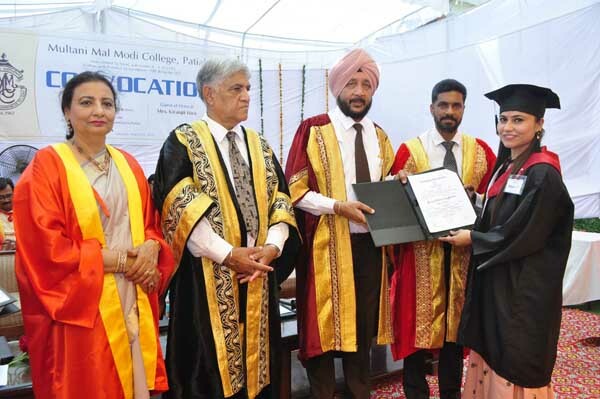 The Chief Guest was felicitated by Prof. Surindra Lal honourable member of the Modi Education Society, Paitala and Principal of the college Dr. Khushvinder Kumar. Prof. Shailendra Sidhu, Dr. Ajit Kumar, Dr. Ganesh Sethi, Dr. Harmohan Sharma and Dr. Bhanavi Wadhawan conducted the stage.